Total Kooling Solutions have a selection of split system air conditioners for sale, perfect for the Perth elements. We supply to large and small clients throughout the greater Perth area. 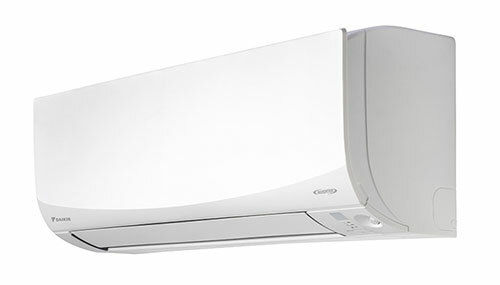 Split Systems are ideal for air conditioning one room or a specific area of a home. With a wide variety of models offered to suit your requirements, Daikin reverse cycle inverter split system air conditioners are designed and engineered for energy efficiency and comfort, making them an affordable way to cool or heat your home. Choose between wall mounted split systems, compact floor standing units, or ceiling cassettes, all of which form part of our range of air conditioning options to suit any room in your home. Our split system air conditioning installation is quick and easy, and can be completed in a day, with minimal disruption to your daily routine. Contact us today and you’ll see that we’re the preferred choice. 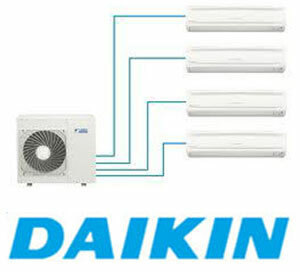 Daikin Multi Split Systems can heat or cool multiple rooms using only one outdoor unit connected to multiple indoor units. Each indoor unit can also be individually controlled, scheduled and set to the desired room temperature. This not only optimises comfort but saves on running costs by only heating or cooling rooms as required. The four-way airflow of a cassette system delivers even temperatures across any open plan area. These systems are suitable for installations where wall , floor and internal ceiling space is limited. Wall mounted splits are best for heating or cooling small to large rooms and maintaining room ambience. Available in a wide variety of models, ‘Cora’, ‘US7’, ‘Zena’ or ‘L-Series’, Daikin wall mounted units are ideal for those that are conscious of energy usage.